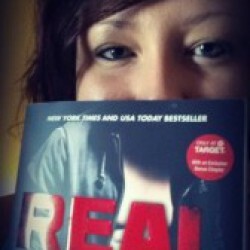 My name is Shayna Renee and reading is my passion. I can’t wait to escape reality and dive in to a passion filled love story! I own a Nook, Kindle, iPad, and way too many paperback books to count. I never find myself without a way to read a chapter here and there. My favorite type of book is one that can pull every type of emotion out of me. The uglier the cry I get from reading, the better! It all started when a friend of mine urged me to read a little book called Fifty Shades of Grey. Have you all heard of it? Yeah, I thought so. I found myself wanting to see what else was out there, what was so fascinating about this particular genre. On my journey, I discovered authors like J.R. Ward, Shayla Black, Sylvia Day, and Sylvain Reynard and I was just hooked! After reading these fabulous books for a while, I discovered I really had no one close by to share my thoughts with. That’s when I decided to start a blog; a review blog that could help me get my thoughts out there and in turn get other people’s recommendations and opinions. I absolutely LOVE the authors and romance readers I have met through this journey, and I only hope to continue sharing my adoration of books with you! Make sure you connect with me on Goodreads, Facebook, and Twitter!